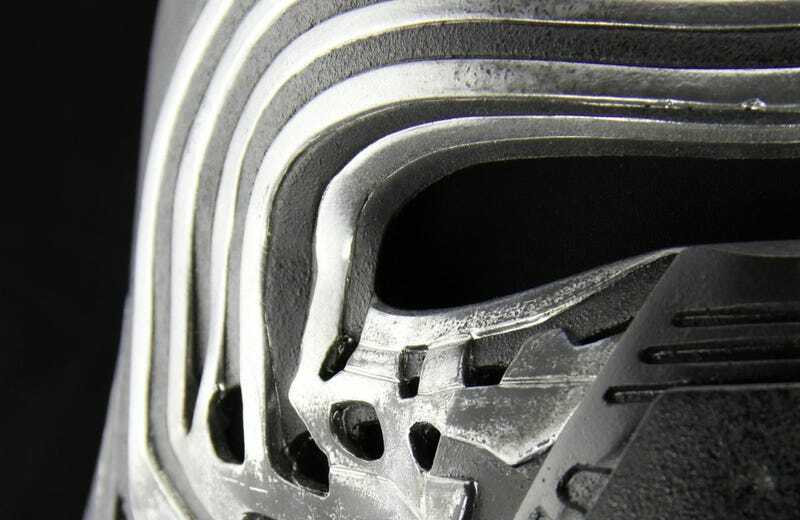 The latest trailer from Star Wars: The Force Awakens featured our best look at at Kylo Ren’s mask. It’s cracked, weathered, frightening and that raised a ton of questions. Well, a brand new collectible version has just been revealed and you can now see every single tiny detail on it. To be fair, the cracks and crevices don’t really tell us much except that Ren has either repurposed stuff for his own helmet, or he gets hit in the head a lot during battle. Some had suggested that he took Darth Vader’s helmet and just added to it but these images certainly suggest otherwise. The shape and length of some of the pieces don’t seem to match. If you’ve wanted to finish what Darth Vader started, now’s your chance. We’d previously speculated that’s what Ren’s line of dialogue in the latest trailer meant, but now we’ve got official confirmation. He’s trying to finish what Darth Vader started, and that’s extinguishing the Jedi.